For more than a century, the kilogram (kg) — the fundamental unit of mass in the International System of Units (SI) — has been defined as exactly equal to the mass of a small polished cylinder, cast in 1879 of platinum and iridium. Kept in a triple-locked vault on the outskirts of Paris, the platinum-iridium cylinder is officially called the International Prototype of the Kilogram (IPK). It even has a nickname: Le Grand K (The Big K). The accuracy of every measurement of mass or weight worldwide, whether in pounds and ounces or milligrams and metric tons, depends on how closely the reference masses used in those measurements can be linked to the mass of the IPK. That situation is about to change. In November 2018, the international scientific community plans to redefine the kilogram, freeing it from its embodiment in one golf-ball-sized artifact, and basing it instead on a constant of nature. That transformation will be as profound as any in the history of measurement. 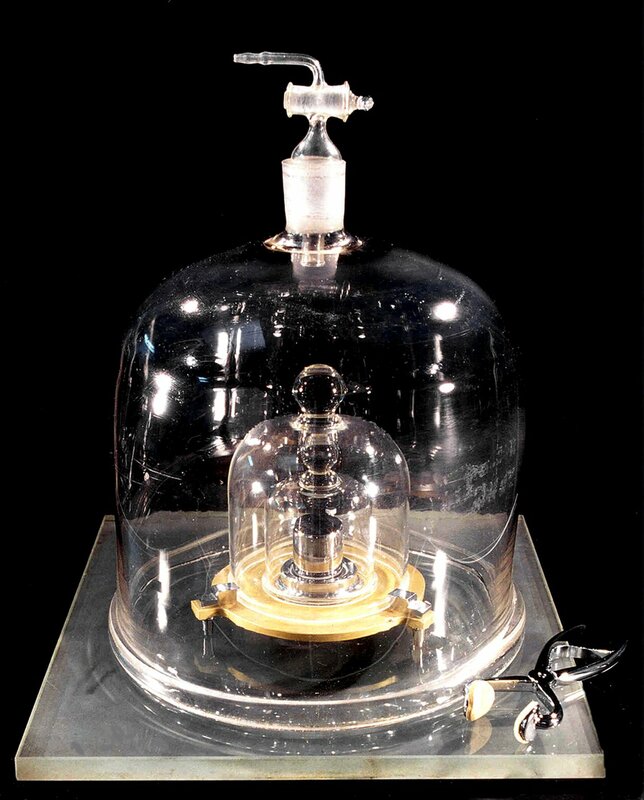 The kilogram is the only SI unit still defined in terms of a manufactured object. So to ensure the accuracy of mass and weight measurements, all the standard masses used in all the measurements around the globe should, in theory, be directly compared to the IPK — which is kept by the International Bureau of Weights and Measures (BIPM) in Sèvres, France. That is, of course, impossible. As a practical matter, many countries keep one or more primary 1 kg standards in their main measurement science laboratories, known as national metrology institutes. It is those masses whose values are periodically adjusted — or “calibrated” — against the IPK. 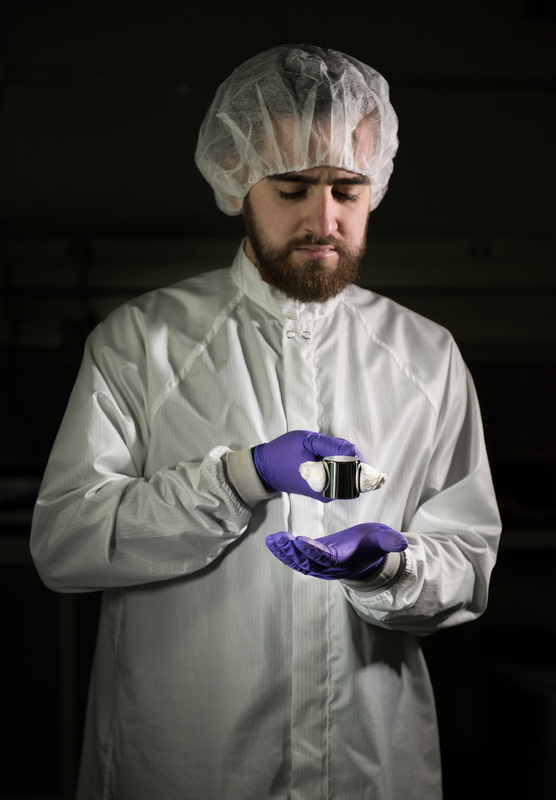 NIST's Eddie Mulhern holding K92, one of the agency's kilogram samples. The primary national standards are then used to calibrate national "working standards" that are used for further calibrations of still other standards. In this fashion, the kilogram standard is ultimately disseminated across the nation in a carefully recorded chain of comparisons that traces back to the original national standard and thus ultimately to the IPK. In the United States, the dissemination of mass — indeed, of all seven SI base units — is the responsibility of the National Institute of Standards and Technology (NIST), part of the U.S. Department of Commerce. NIST houses and maintains America's mass standards, including the primary prototype national standard (called K20) which was one of the first two prototypes that BIPM assigned to the United States in 1889. The other, called K4, serves as a “check” standard that monitors the constancy of K20’s mass. K20 and Friends: Four of the five U.S. national prototype kilogram artifacts, including K20 (front) and K4 (back). NIST also maintains six other platinum-iridium prototypes (K79, K85, K92, K102, K104 and K105). Numerous stainless-steel working standards are calibrated against the national prototypes and used for comparisons to various test masses. Additional sets of working standards are then used to calibrate masses up to 27,200 kg and down to 1 milligram (mg, a thousandth of a gram). The agency is also responsible for calibrating the U.S. mass standards against the IPK — or, usually, against one of BIPM's authorized copies — at regular intervals. Not surprisingly, making intermittent comparisons among various artifacts is extremely laborious and involves many stages of repeated measurements. More problematic, however, is the fact that the measured mass of each individual standard changes, or "drifts," a bit over time. Moreover, this mass-comparison system is not easily scalable from large to small. The smaller the scale, the larger the uncertainty in measurement because a very long sequence of comparisons is necessary to get from a 1 kg standard down to tiny metal mass standards in the mg range, and each comparison introduces an added uncertainty. As a result, although a 1 kg artifact can be measured against a 1 kg standard to an uncertainty of a few parts in a billion, a milligram measured against the same 1 kg has relative uncertainties of a few parts in ten thousand. That uncertainty is not satisfactory for the ever-more-demanding needs of modern measurement science, device manufacture, material science, pharmaceutical research and testing, and environmental monitoring, to name only a few. Increasingly, those endeavors require accurate measurements on the order of micrograms (millionths of a gram) and smaller. There is widespread agreement that the world needs a system in which scaling measurements does not mean increasing uncertainty. 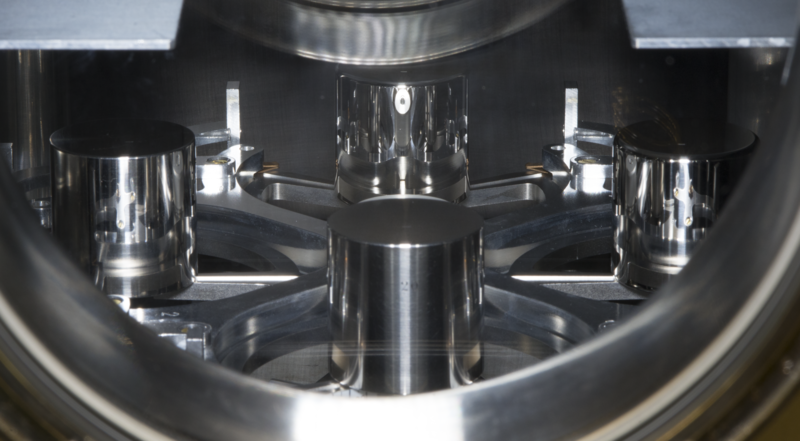 According to an internationally accepted plan, the problems with the current system of defining mass will be addressed in November 2018 when the kilogram is poised to be redefined in terms of an invariant of nature: the Planck constant. Scientists around the world have been laying the groundwork for that change for years.